Everyone who plays this game knows that it’s more about distance and precision than in most of any other sports. Sure you need both, a strong and a good swing. In my last rounds I made a huge step forward on the course and I improved my score so much. Yes, my swing developed in the right way and the many hours I spent this season on my short game just showed their positive results. But beside that, I really got confident with my Irons and the results by hitting steady distances. And this is where one thing led to another. 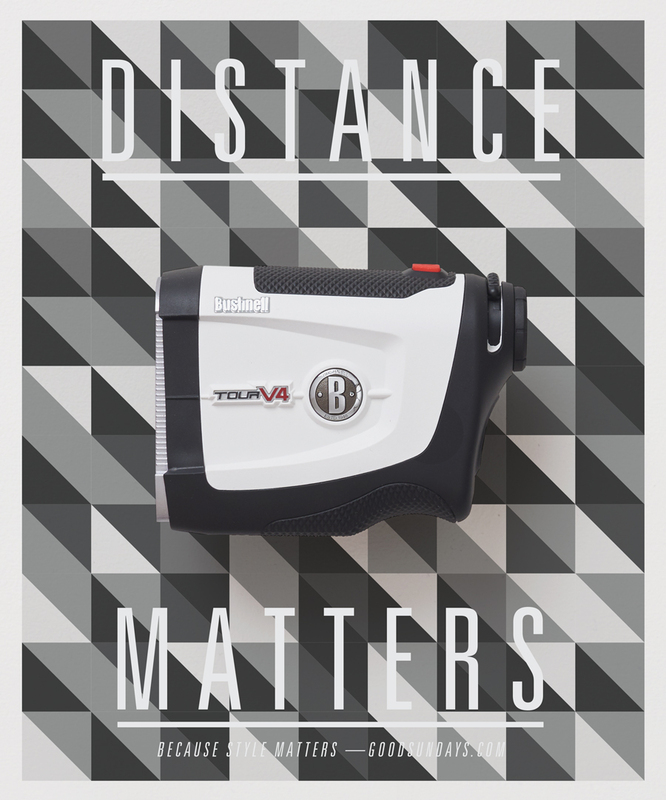 I was very happy to get the option from Bushnell Golf to try their new TOUR V4 Laser Rangefinder with the Pinseker Jolt technology. A great design combined with high technology. And while I was using the Bushnell TOUR V4 on my last rounds I was so amazed by all its positive facts. 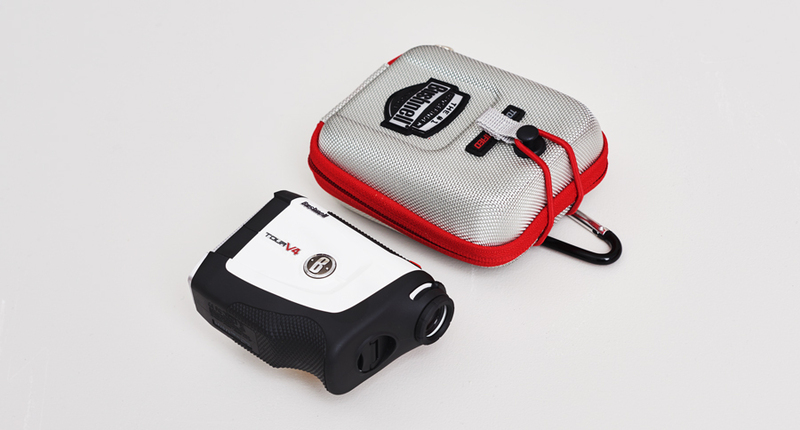 The TOUR V4 is small, super fast and has a much lighter weight and is very easy to handle beside many other Rangefinders and because of its ergonomic design it fits perfectly in your hand. In my opinion, one of the most impressive feature of the TOUR V4 was the Jolt technology. Jolt makes the right distance so easy to discover and it eliminates all doubts. The short vibrating bursts gave me the insurance that I have looked into the flag. Stupid to say this about a Rangerfinder, but I really fell in Love with it. On top of everything the water resistant bag is also very cool, easy and quick to open. 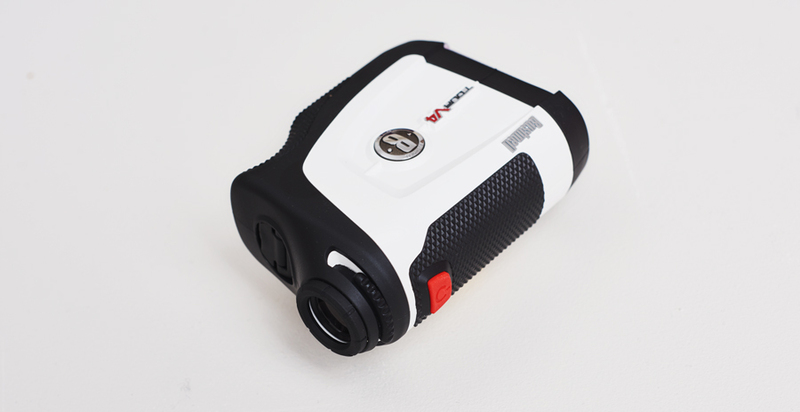 The new Bushnell TOUR V4 is really a recommendation for every ambitious golfer.